Mr. Roger Edward Sawicki, age 80 years, passed away in the T.B.R.H.S.C. on Tuesday, January 15, 2019 with loving family at his side. Roger was born in Fort William on September 14, 1938, the son of Ted and Lena Sawicki. He married the love of his life, Dorothy Wenzell on June 28, 1961 and they had 6 children. 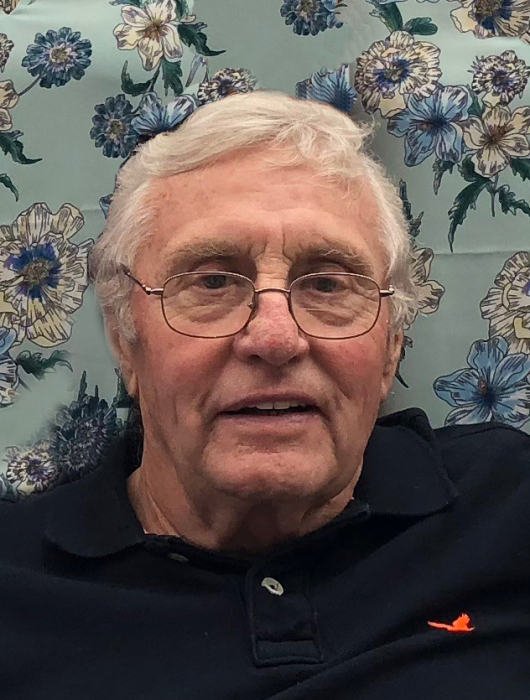 Roger was a plumber by trade, working at Arthurs Plumbing, Burtons Plumbing and for the Lakehead Public School Board, retiring after over 40 years in the industry. His greatest love was for his family, especially his true love Dorothy. He was happiest spending time with his children whether it was at family gatherings or watching them in their various activities. Roger enjoyed cooking, meeting with his “coffee gang” for morning coffee each day, gardening and working in his yard. He was extremely proud of his immaculate yard. His greatest passion throughout his life was the game of hockey. An accomplished player himself, he played professionally for the Montreal Royals, Cleveland Barons and Springfield Indians. He also loved to watch all levels of hockey, and especially enjoyed watching his grandchildren play. He will be lovingly remembered and dearly missed by his wife Dorothy, children: Randy Sawicki, Patti Lambert, Tracey (Brian) Dychko, Mary Jo (Rick) Cicigoi and Jody (Dave) Lehto; grandchildren: Adam Sawicki, Ross, Kale and Carly Lambert, Jayme, Matt, Mike and D.J. Dychko, Alyssa, Christian, Alex and Sammy Cicigoi and Zach, Mack and Josh Lehto; brother Kenny (Marilena) Sawicki as well as by numerous nieces, nephews and other relatives. He was predeceased by his son Roger James and his parents Ted and Lena. Funeral services will be held on Saturday, January 19, 2019 when family and friends will gather in St. Dominic’s R.C. Church for the Funeral Mass beginning at 11:00 a.m. celebrated by Rev. Ciaran Donnelly. Inurnment will take place at a later date in St. Patrick’s Cemetery. As expressions of sympathy memorials to the charity of your choice would be appreciated. Arrangements are in care of the Blake Funeral Chapel, 200 May Street South. Roger Sawicki will be remembered in the Blake Funeral Chapel Memorial Grove. Annual dedication service Sunday, June 14, 2020.